Jebao DC water pump has an energy-efficient 4-pole 24V moter, which is extremely silent and reliable.The low voltage pump is very safe to operate, and will not release any harmful elements to the aquariums or ponds water. 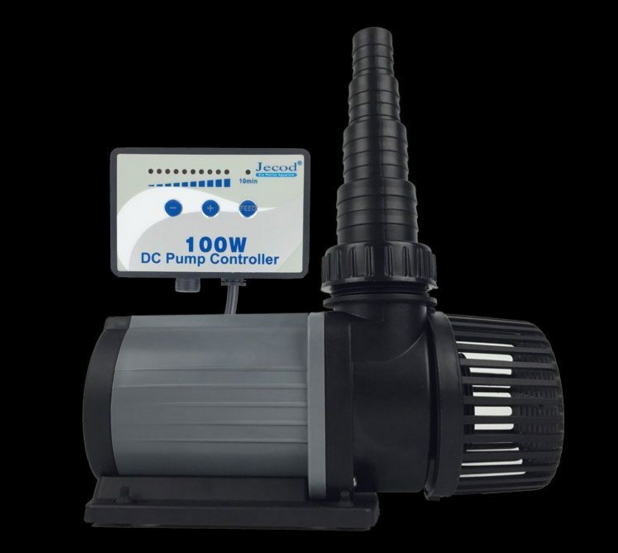 The DC water pump has a ceramic axle, and will be safe to transfer freshwater or saltwater.The DC water pump comes with an flow controller(6 speed adjustment & 10 minutes feed timer). soft start to set the flow rate.